From album to mixtapes, Rick Ross has been delivering the goods with the ability to balance the streets with the mainstream. Trilla and Deeper Than Rap truly began Ross on his dramatic ascension. 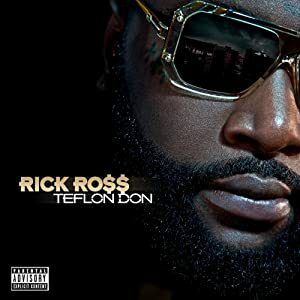 With Teflon Don, an overt nod to mob boss John Gotti, Ross eases comfortably into legend status. The debacles and the subsequent beefs are in the past and actually thrust Rick Ross into a larger light. All the controversy has been countered and attacked with quality music. Ross’s Teflon Don solidifies the Miami rapper as a force that musical rivals will have to contend with. Emphasis stays with musical, because we’re talking about good music and albums we want to listen to for years to come, right? Teflon Don is the culmination of a lot of already classic videos, loose songs and savvy street marketing. So, the album is really a part of an entire movement that quietly encompasses marketing as well as music. The results are pretty damn epic. With this review, I’ve decided to go track by track so every song is treated like an individual. At the end, there will be a conclusion to keep this Teflon Don review clear and concise!